With the records of recent decline in water level of Lake Mead, for the operation and management of Lake it is important to consider the full range of future scenarios involving climate change and water demand due to increasing population. This study evaluated the effect of climate change and varying water demands on Lake Mead storage and water levels. It deals with the various dynamic variables such as metrological and socio-economic factors that impact the water storage capacity at Lake Mead and estimates what the Lake storage and water levels would be in future by varying these parameters over a wide range. A system dynamics tool STELLA was used to develop the model, which simulated the historic, present, and future Lake Mead levels in response to changing inflows and outflows. System dynamics is a computer-aided approach used in studying complex systems by analyzing the interaction between various elements within that system. Climatic parameters that affect the water volume were integrated into the model using secondary data and model was calibrated. By running different future scenarios where inflow to and outflow from the Lake were altered considering climate change and varying water demand depending on population growth, we were able to better understand the range of water level changes that Lake Mead would experience in coming years. The model helped us develop cause-effect relationships of various climatic factors involved in the model. The results indicate that there are certain management scenarios that will allow the water levels in the Lake Mead to be maintained at a higher level than what it has experienced during the recent droughts. Abhusan Achhami has a Bachelor’s in Civil Engineering Degree from Khwopa College of Engineering affiliated to Tribhuvan University, Nepal. Mr. Achhami has worked in the field of water resource, specifically hydropower for three years in Nepal in private sector. He has worked closely with the design works and implementation of hydropwer components with the designers and planners. Mr. Achhami has been pursuing a graduate degree in Water Resources Engineering since August 2017 at University of Nevada, Las Vegas. 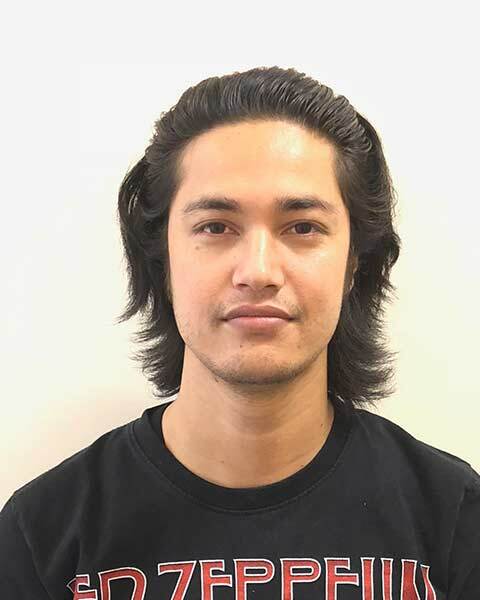 Bio: Abhusan Achhami has a Bachelor’s in Civil Engineering Degree from Khwopa College of Engineering affiliated to Tribhuvan University, Nepal. Mr. Achhami has worked in the field of water resource, specifically hydropower for three years in Nepal in private sector. He has worked closely with the design works and implementation of hydropwer components with the designers and planners. Mr. Achhami has been pursuing a graduate degree in Water Resources Engineering since August 2017 at University of Nevada, Las Vegas.